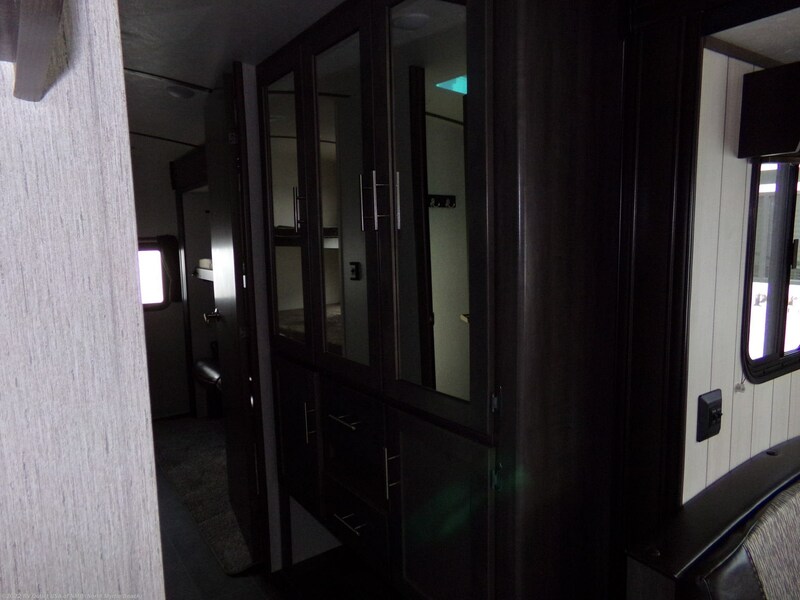 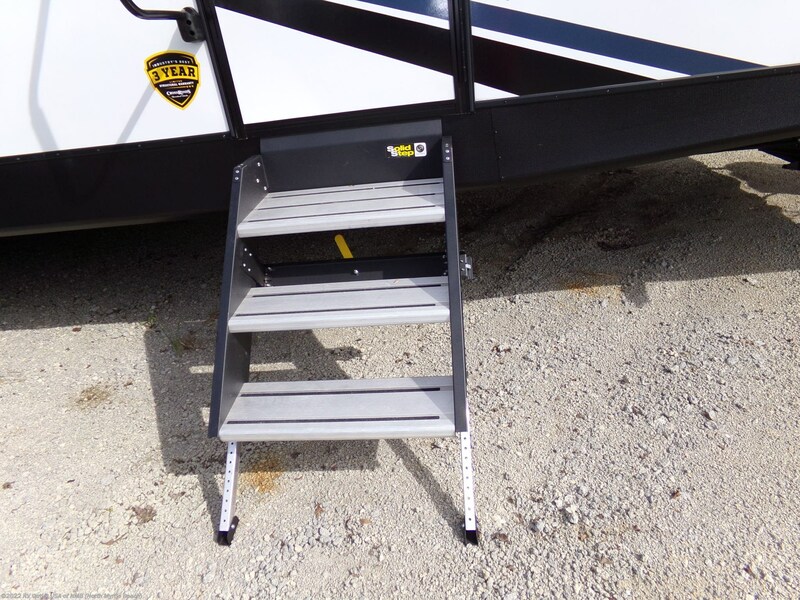 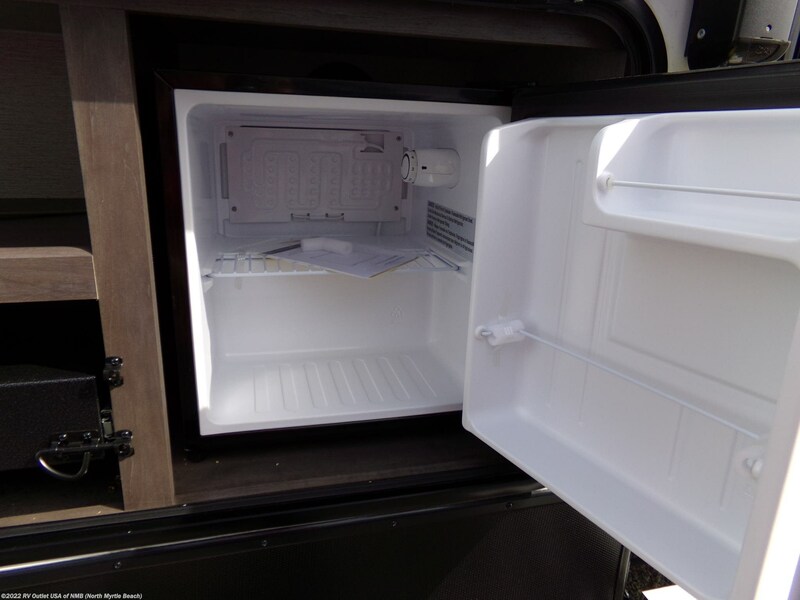 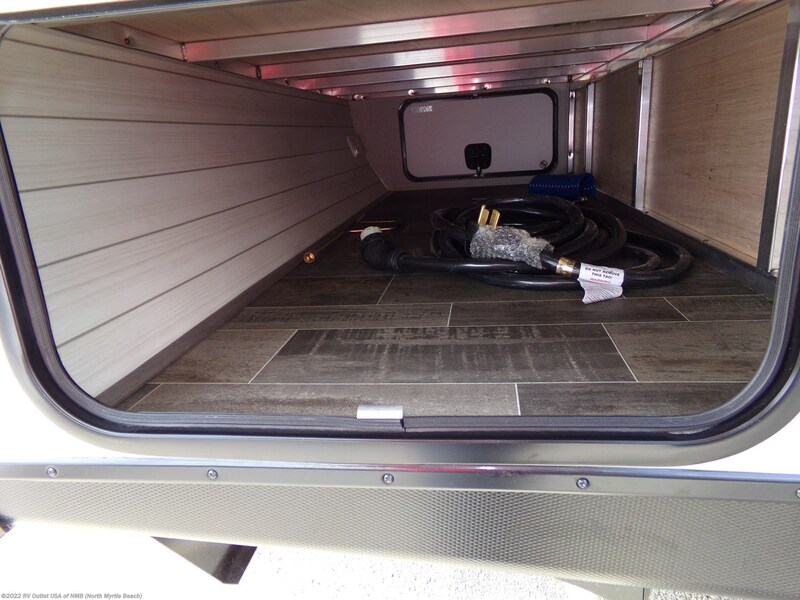 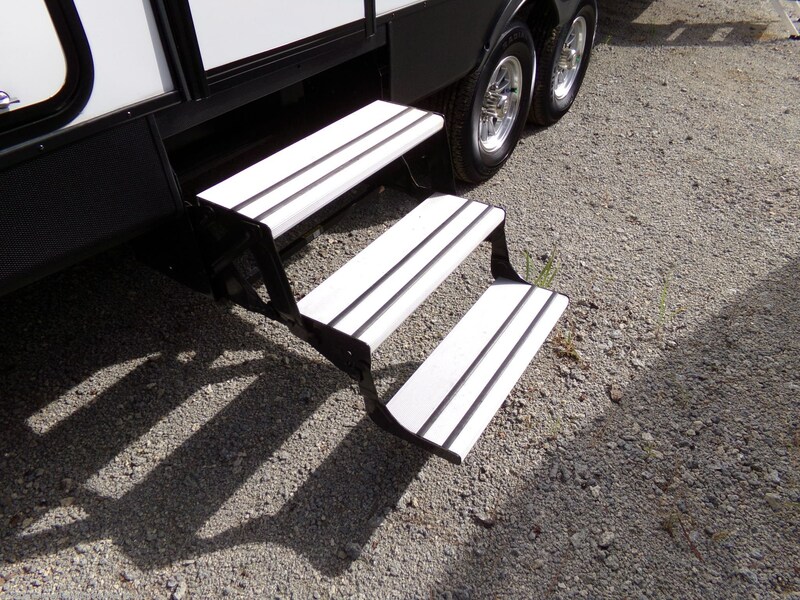 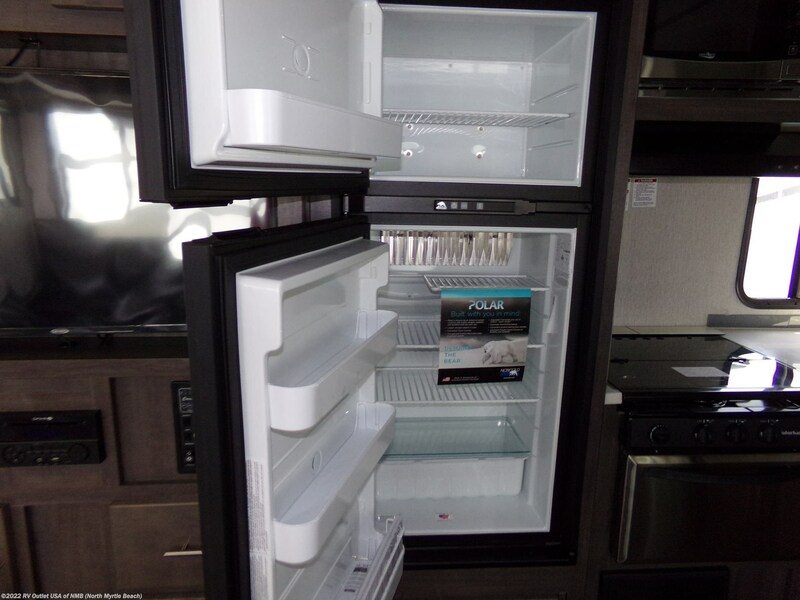 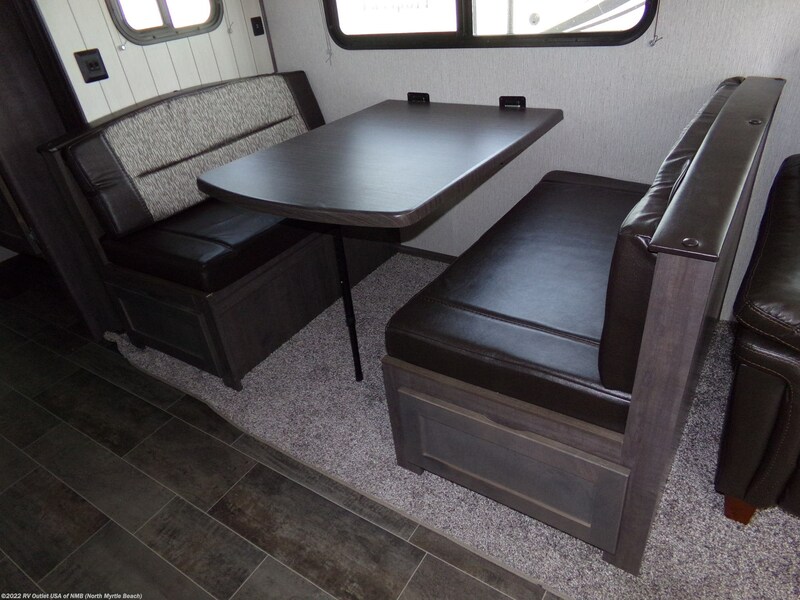 The interior of this RV is offers a lot of space to move around freely with (2) slides. 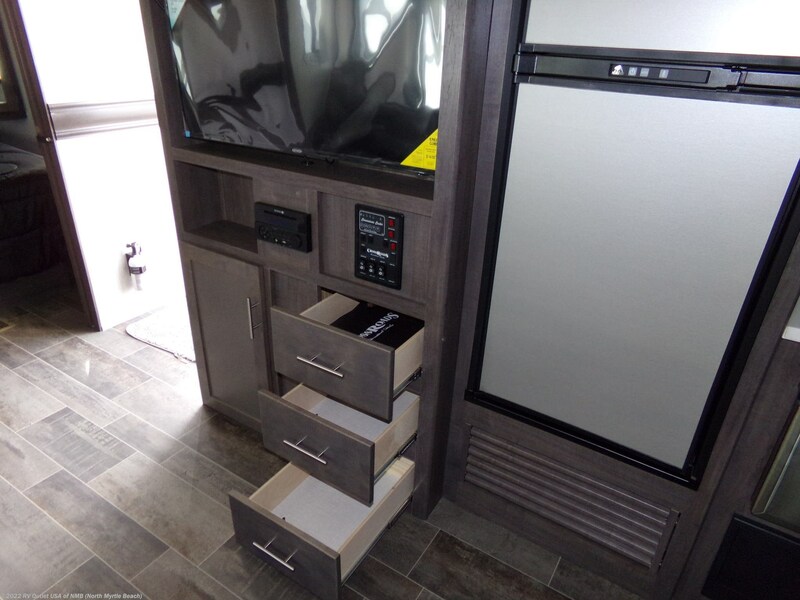 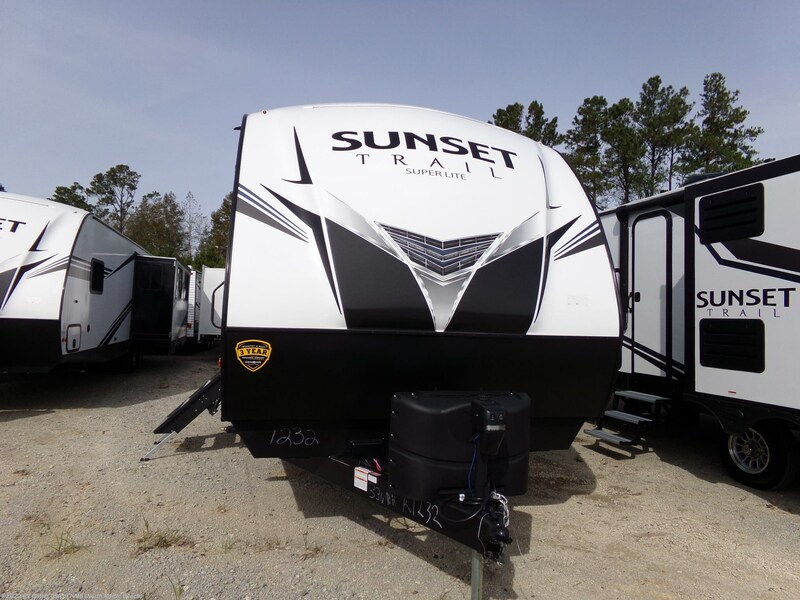 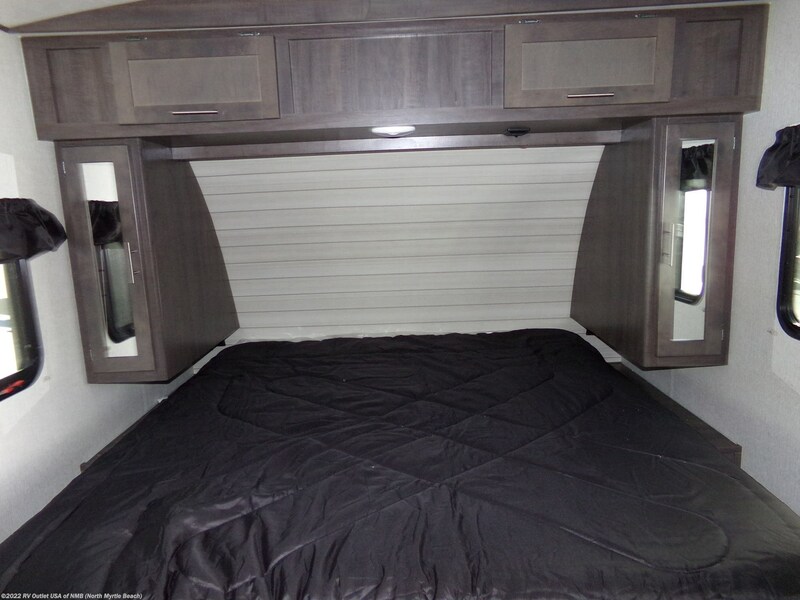 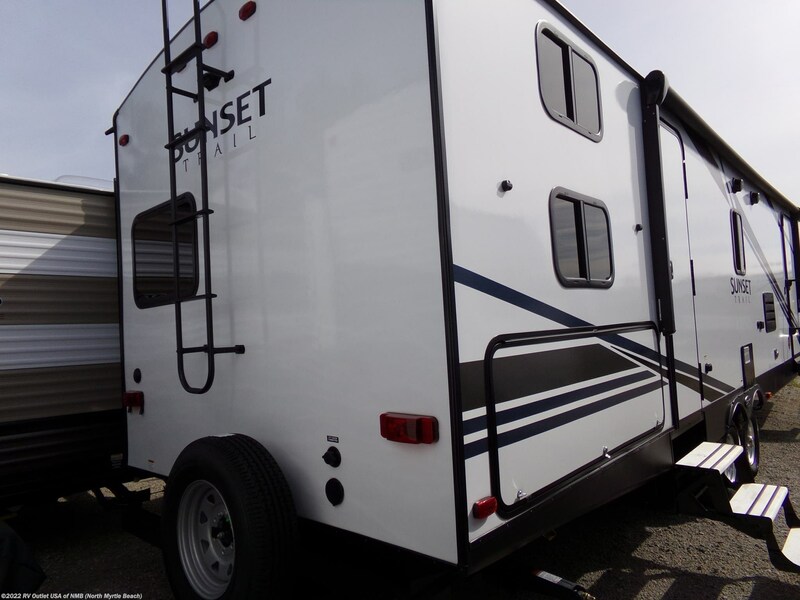 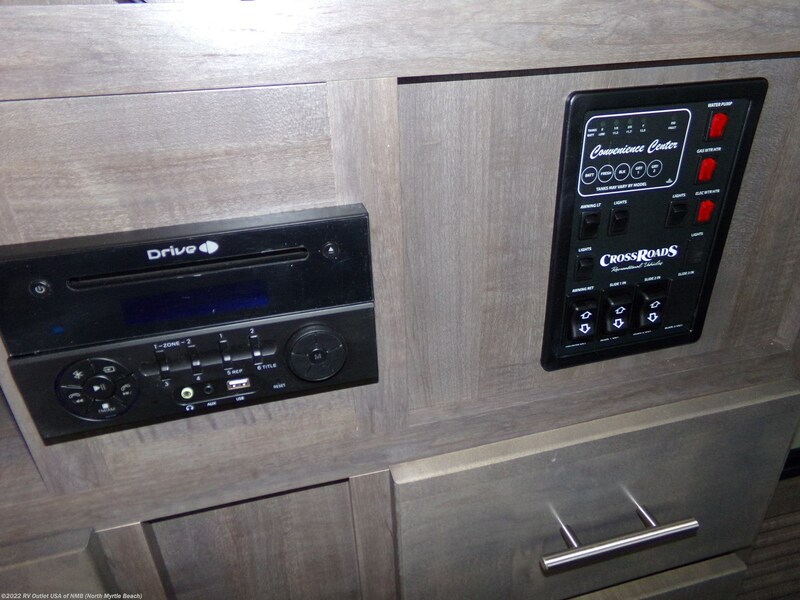 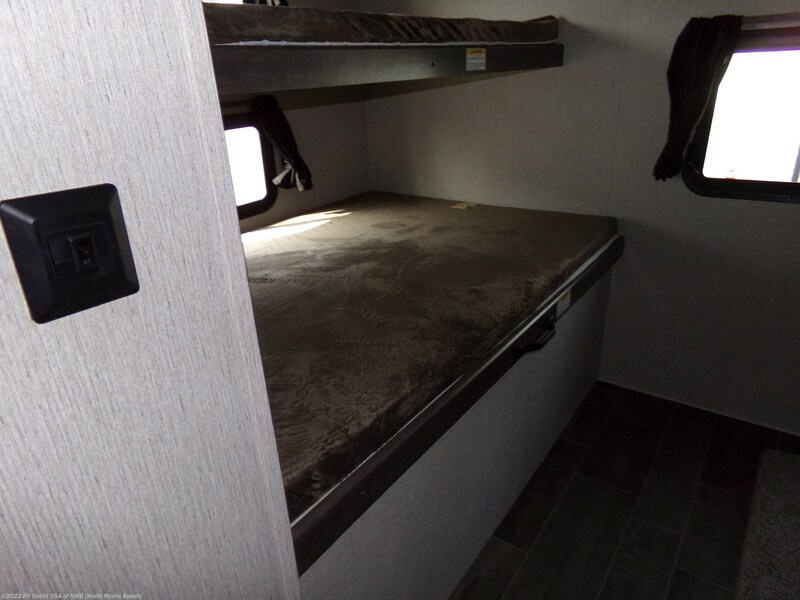 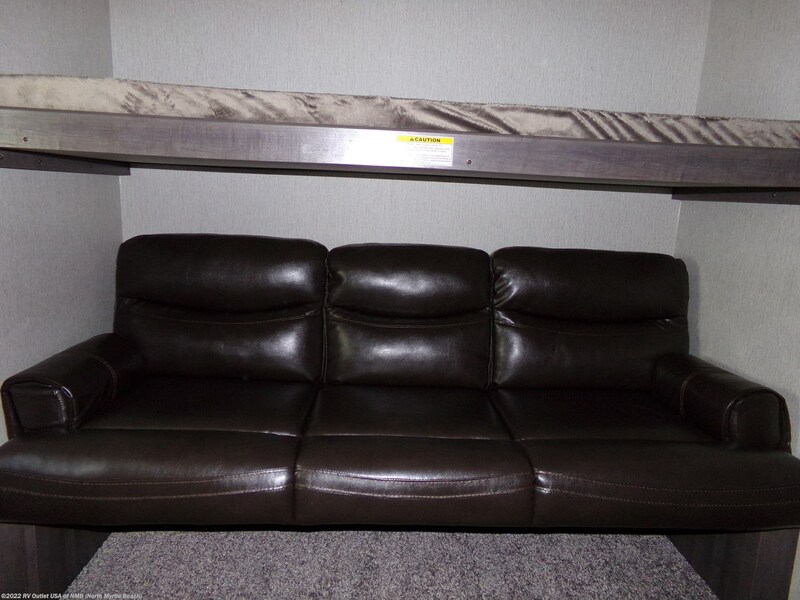 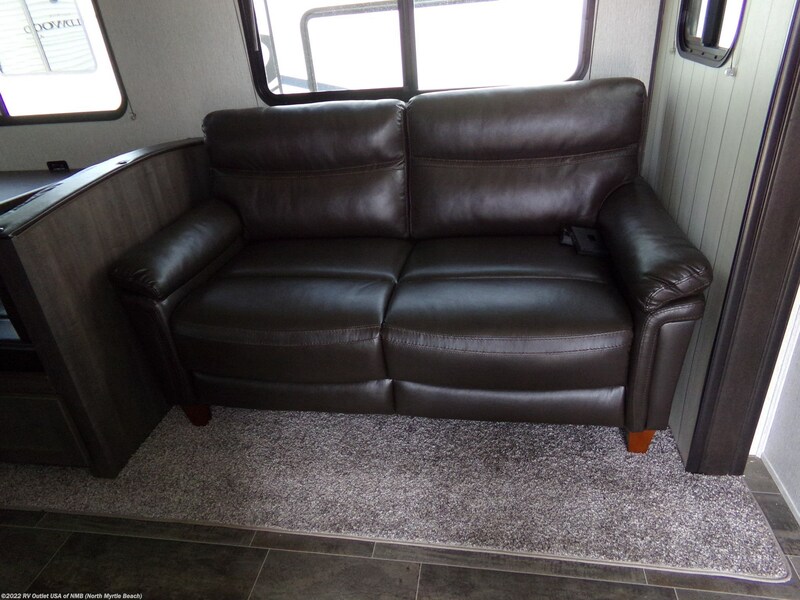 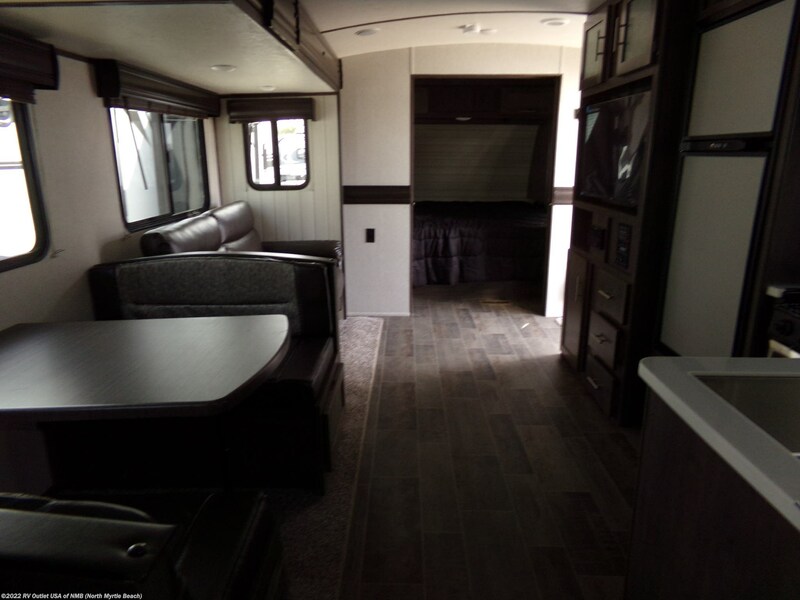 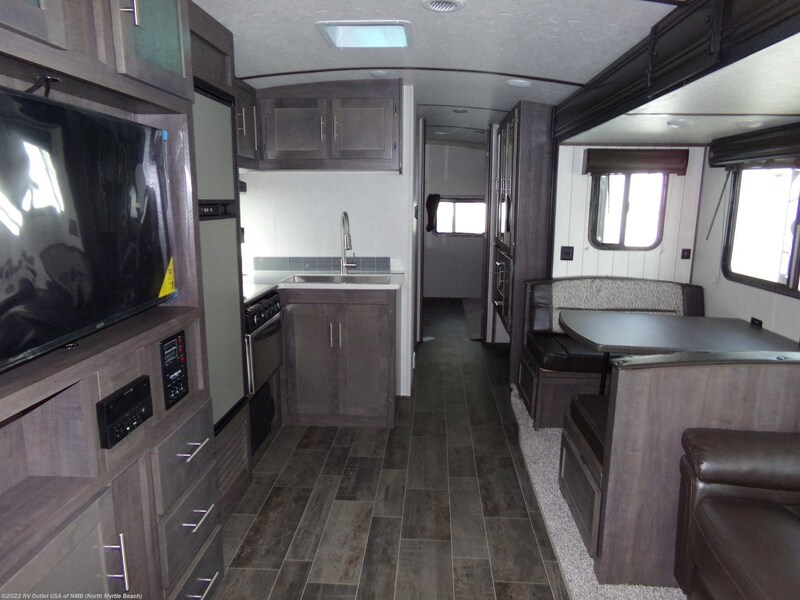 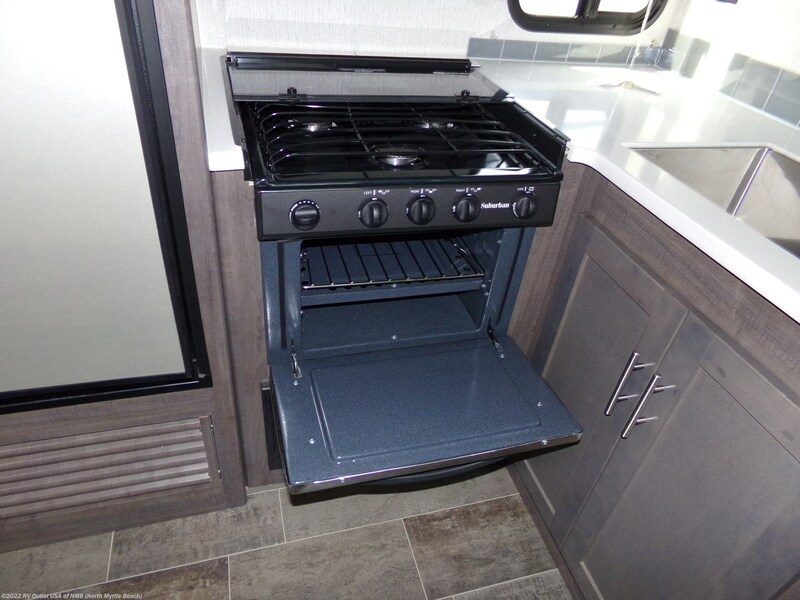 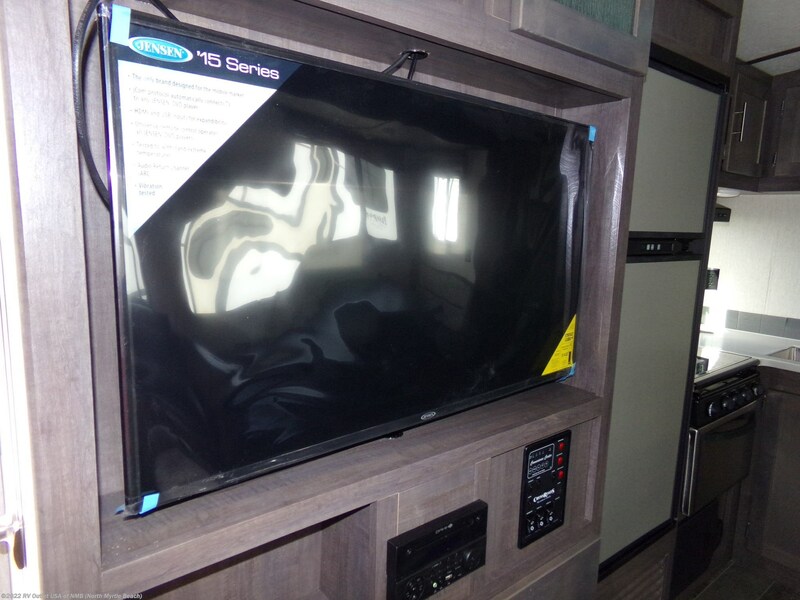 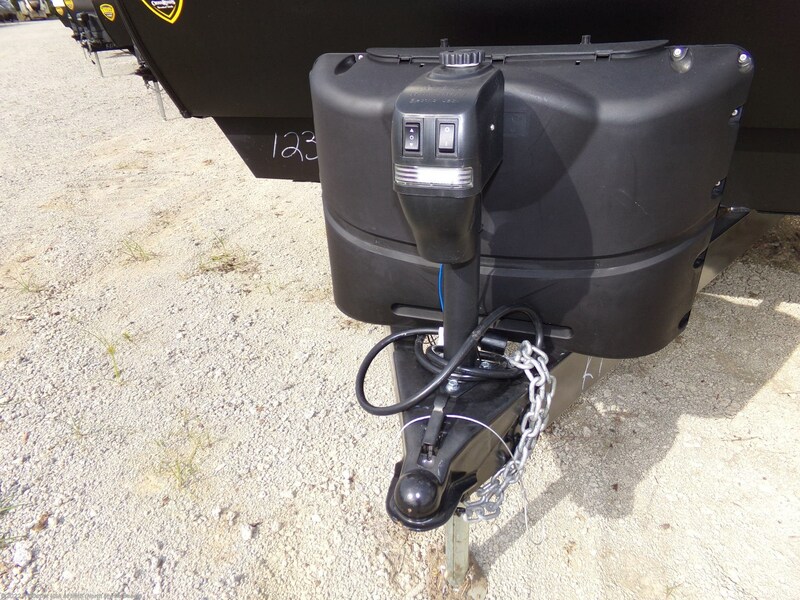 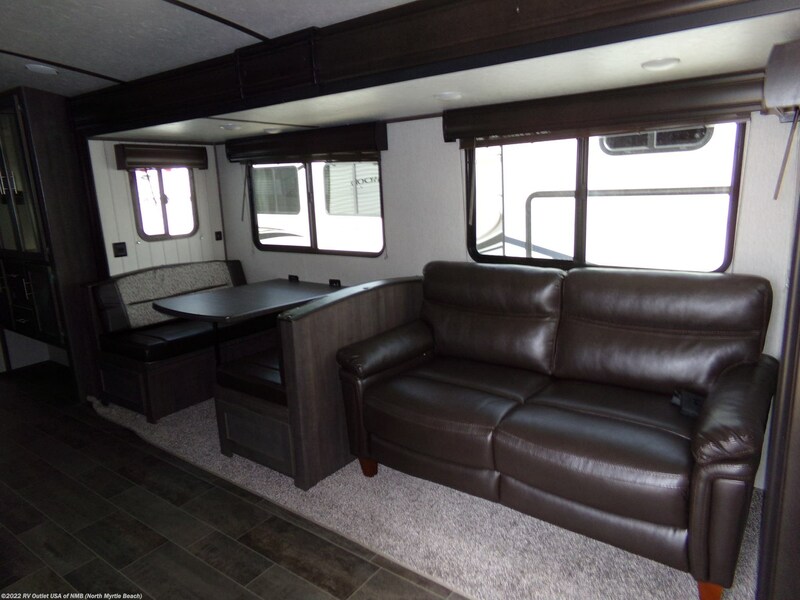 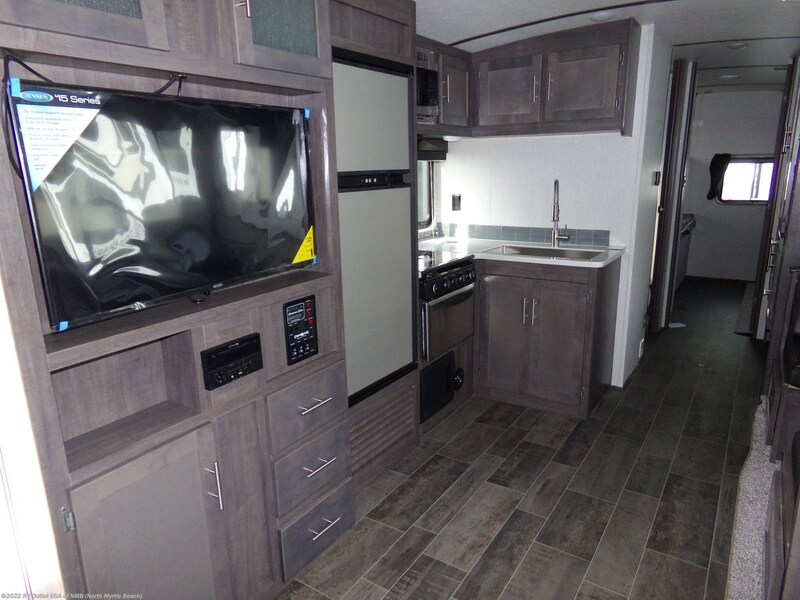 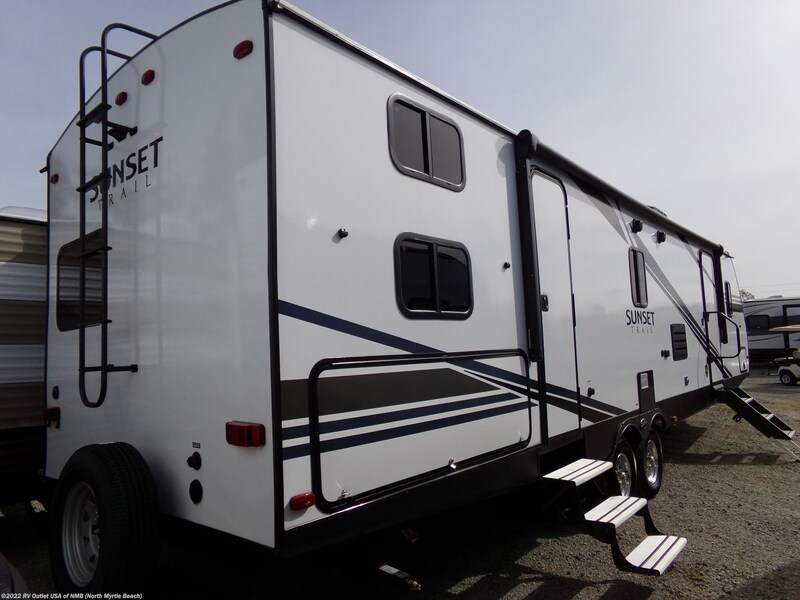 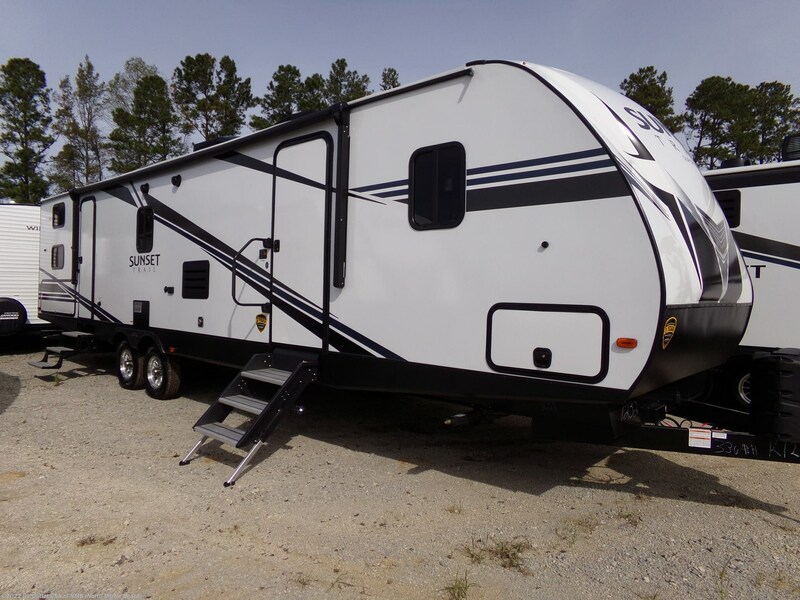 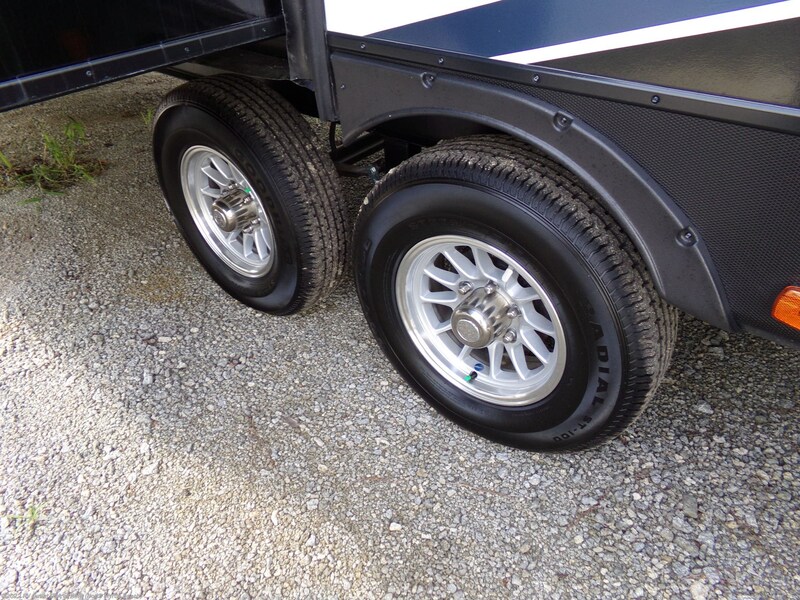 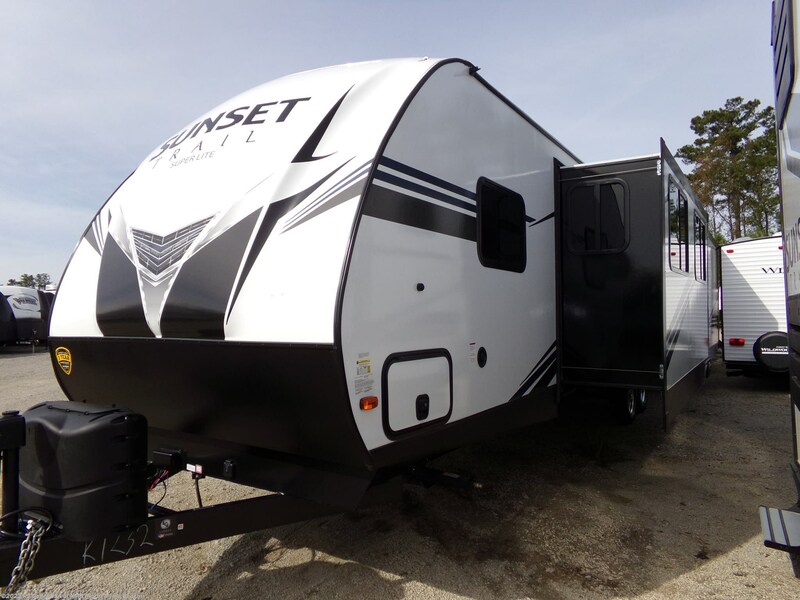 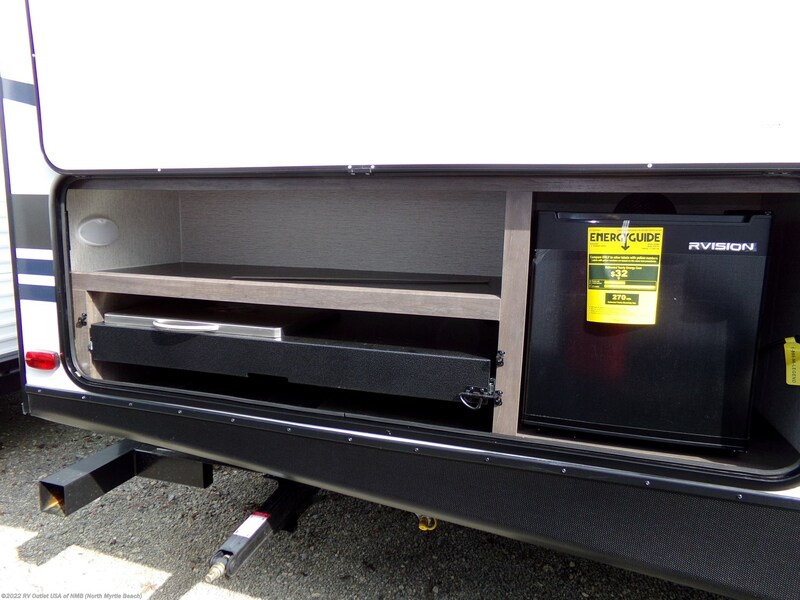 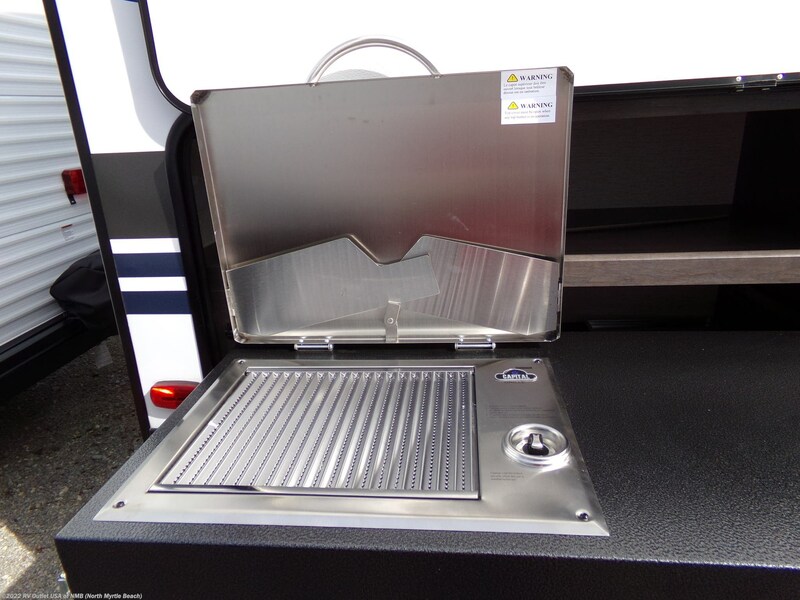 The front of this RV features a front king bed with overhead cabinets and side wardrobes. 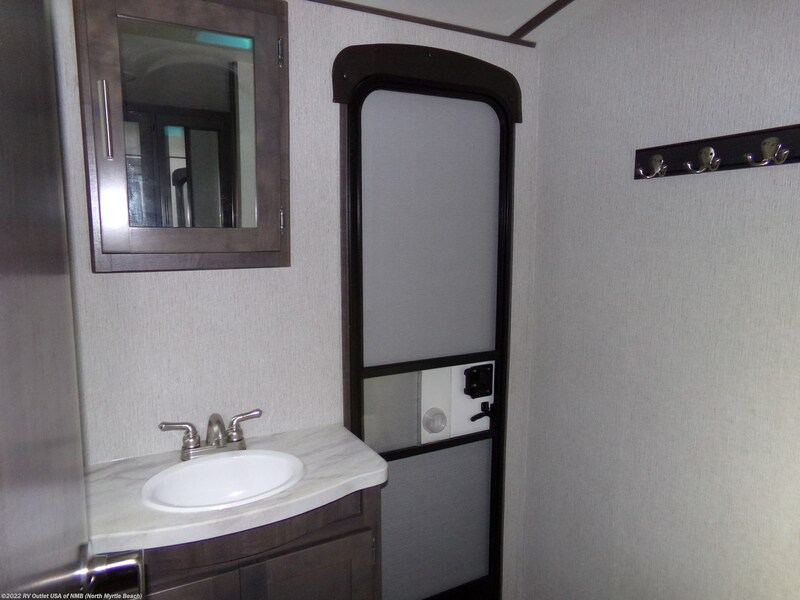 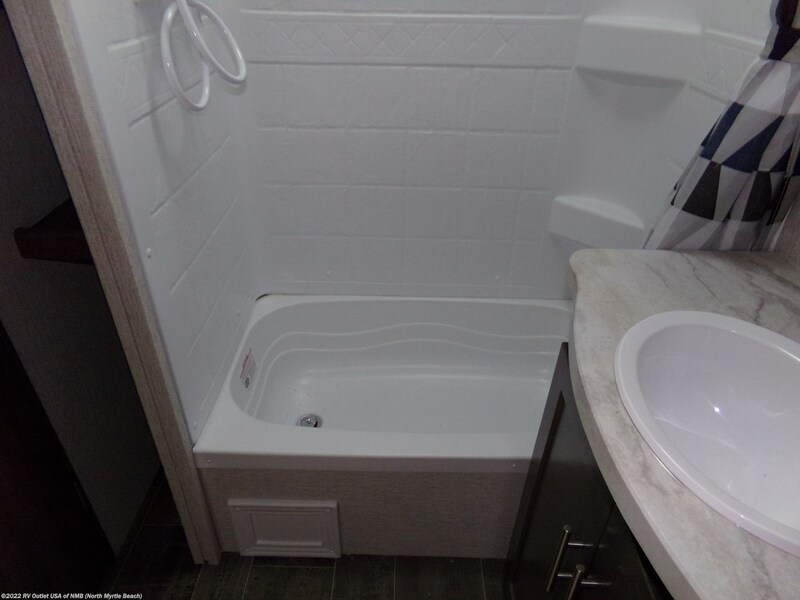 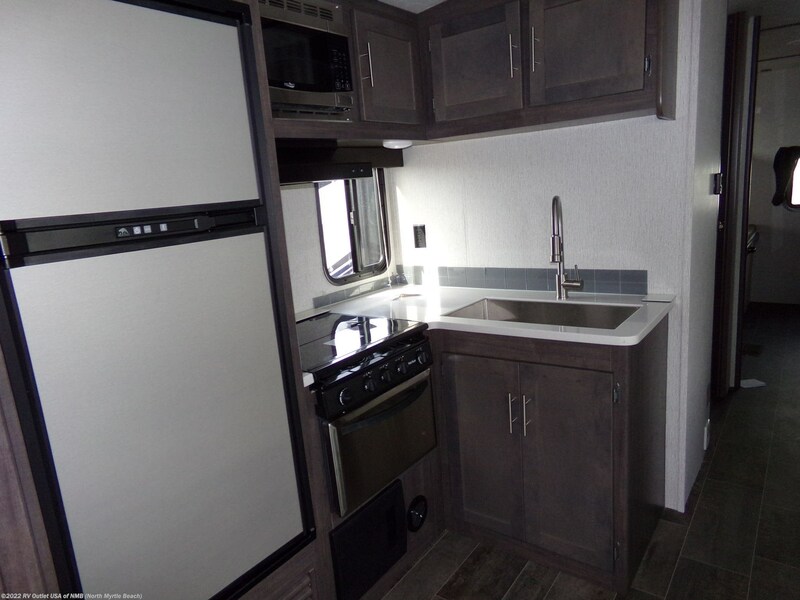 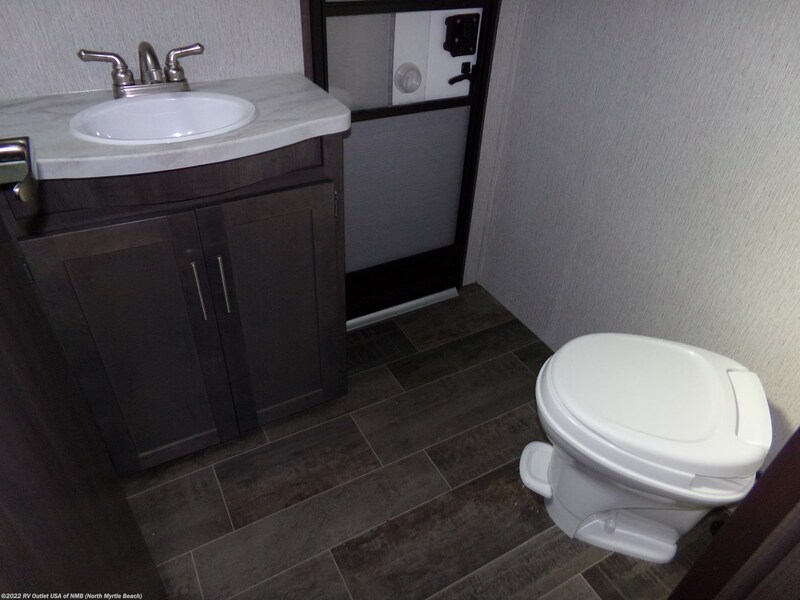 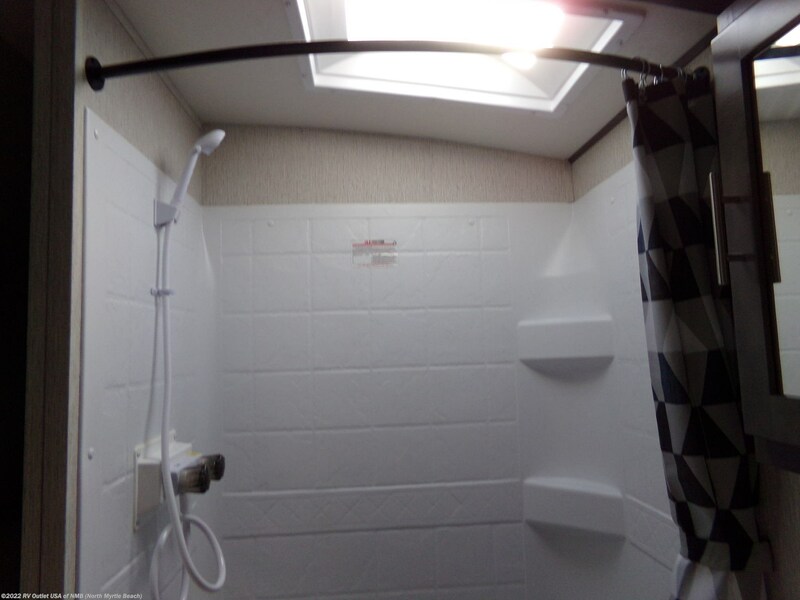 The rear of this RV features a full bath with a tub/ shower, toilet, sink and a medicine cabinet. 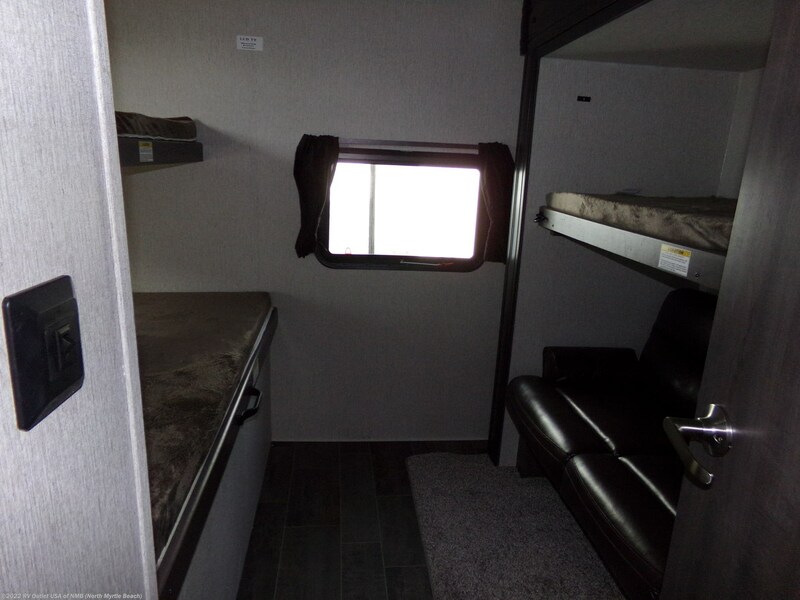 There is a rear bunkhouse that features a sofa with top bunk on the slide and across from that is a top and bottom bunk.